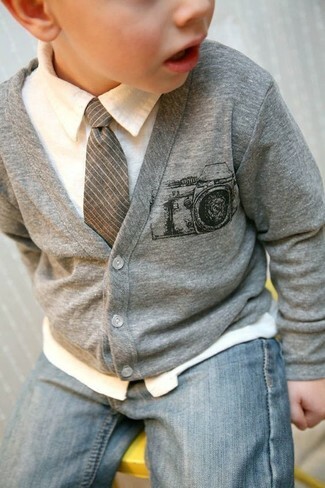 Teach your little angel to take pride in his appearance by dressing him in a white long sleeve shirt and a grey suit. Brown oxford shoes are a savvy choice to finish off this outfit. 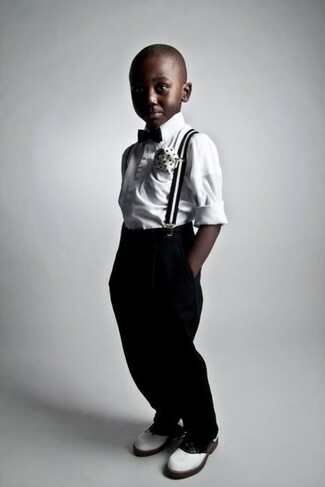 Teach your little guy how to look put-together and stylish by suggesting that he choose a white long sleeve shirt and black trousers. Black oxford shoes are a savvy choice to round off this getup. Suggest that your little man pair a Ralph Lauren baby boy blake cotton oxford shirt with navy trousers for a sharp, fashionable look. 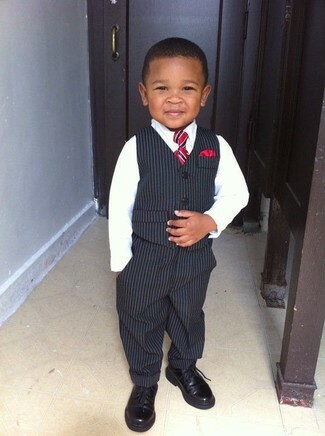 As for footwear your little one will love black oxford shoes for this getup. Suggest that your boy team a Ralph Lauren baby boy blake cotton oxford shirt from Ralph Lauren with blue jeans for a trendy and easy going look. White sneakers are a smart choice to complement this outfit. 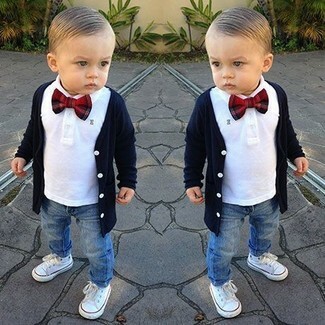 Busy days call for a simple yet stylish outfit for your tot, such as a white long sleeve shirt and light blue jeans. 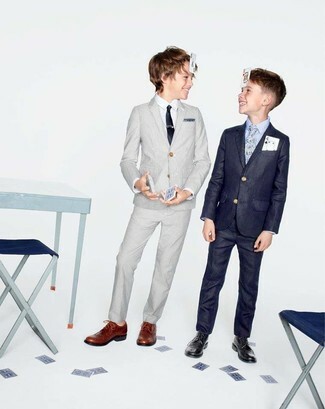 Go for a classic style for your little guy with a Ralph Lauren baby boy blake cotton oxford shirt and navy trousers. Navy oxford shoes are a savvy choice to round off this getup. 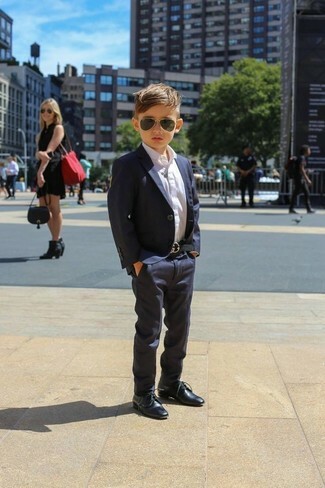 Suggest that your little guy dress in a Ralph Lauren baby boy blake cotton oxford shirt and black trousers and his cute factor will be off the roof. 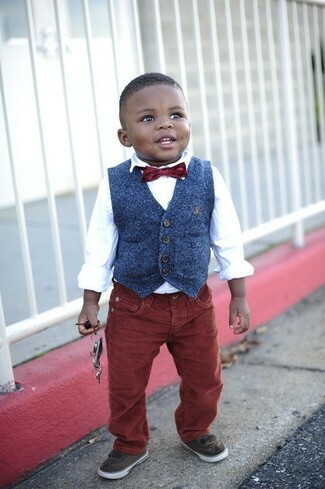 As for footwear your kid will love white oxford shoes for this look. This combo of a Ralph Lauren baby boy blake cotton oxford shirt and burgundy jeans has all the potential to become your tot's favorite. Dark brown sneakers are a savvy choice to complete this outfit. Create an enviable style for your child by dressing him in a Ralph Lauren baby boy blake cotton oxford shirt and tan trousers. As far as footwear is concerned, suggest that your kid opt for a pair of grey sneakers.